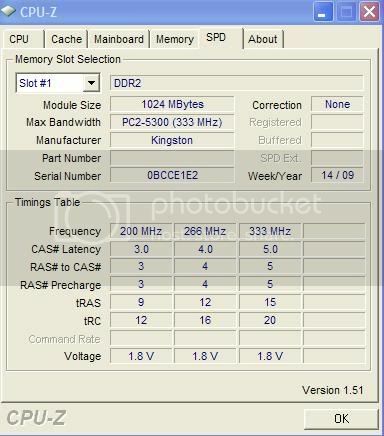 okay let me start off by saying i dont really know much about computers, and recently i bought a 1gb ram from kingston to install in my computer. I used the newegg memory search and found a compatible ram for my system. It works well once in a while but sometimes if i tried to start a game it would give me the blue screen of death, Saying that it needs to prevent damage from my computer, It also stated that i need to disable shadowing or caching from bios. This doesnt often occur. It usually happens 1/8 of the time. Also the ram i bought was a 1gb pc2 - 5300. 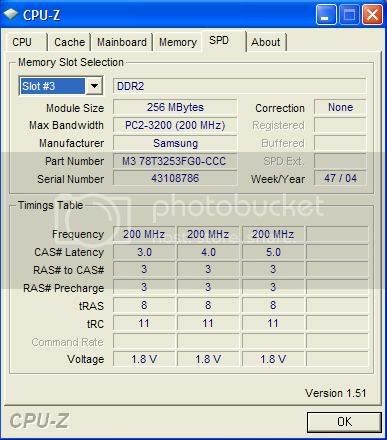 And my old ram which came with the pc has 256x2 512mb pc2 - 3200 what can be the problem? does it give you bsod when starting a specific game? windows usually goes bluescreen when theres some conflict with software, not hardware. does bluescreen appear only when starting games? You can often run into problems when trying to combine two different sticks of ram. These can ocure to do different speeds, timings, and voltages, or the two sticks may just not play nice together. You can try to manually set the timings and voltages to get the two sticks of memory to work together, but often doesn't work. The easiest way to get your system stable is going to be to simply remove the 256x2 sticks, and leave just the 1 gig stick in. Run memtest86+ and check for memory errors. If the voltages are different use the highest voltage. If the timings are different use the slowest timings. how do i run memtest86? sorry i really dont have much experience about computers and after if i perform the run how can i set the timing or power? YES! I found out how to fix it. I had the exact problem and it took me ages finding out how to fix it! I wanted to return my ram but luckily I got the answer of how to fix it. Best Solution 1: When you add the ram it comes up with this thing saying Setup or Continue without setup something like that. What you do is you Go to setup which leads you to your Computers BIOS page. If you look I forgot where it was but somewhere on the screen it says voltage thingy. My one was at 1.8 and You need to make it to 2.0. Solution 2: On the BIOS page look for writing which says Dual Channel. Some computers do not have this option and some do. Dual Channel might be off. If this is the case then turn Dual Channel on. Solution 3: Some computers like mine the new ram was in slot 2 and 3. Make sure it is in slot 1 and 3. I have heard in some places that you can also put the ram in slot 1 and 2 but I recommend that you put it in slot 1 and 3.